…the Camp fire is comfortably the deadliest in California history, with 85 confirmed deaths and a few dozen people unaccounted for. More than 50,000 others were scattered into refugee tent encampments, hotels, relatives’ couches. “We are a town in exile,” said Michael Orr, a Paradise resident now living on an air mattress at his in-laws’ house in Chico. Nine in 10 homes in Paradise have been reduced to clumps of ash, mixed with twisted metal, as if the settlement has been carpet-bombed by a brutal invader. Chimneys, like tombstones for a lost town, are the only things left standing. The birds fled along with the humans leaving Paradise an eerily quiet place with a lingering smell of charcoal. The visceral trauma of having a town wiped off the map is the nadir in an astonishing burst of recent wildfires – of the 10 most destructive fires in California’s recorded history, five have occurred since October last year. California is in the grip of what its governor, Jerry Brown, calls the “new abnormal”. The past five years have been the hottest on record in the state, which is in stuttering recovery from its worst drought in a millennium. The state has received just a fifth of its normal rainfall so far in 2018, with a record 1.6m acres of grassland, forest and urban area, an area larger than Delaware, burning this year. 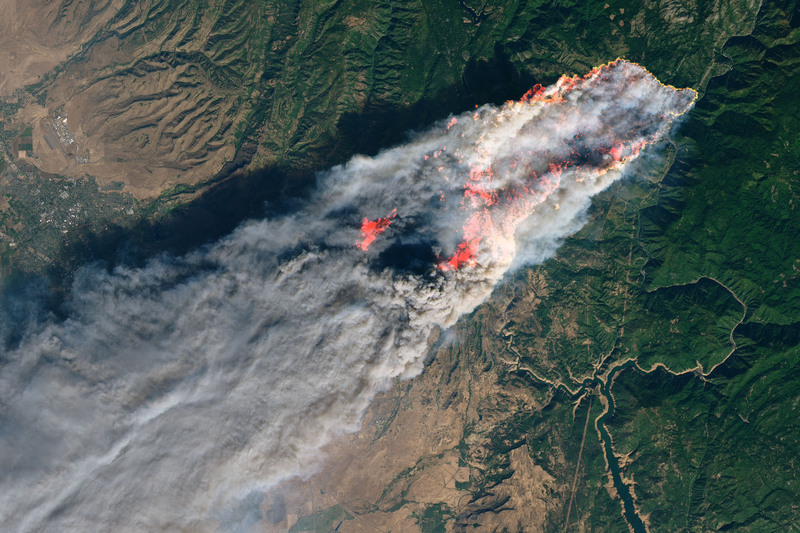 Of the multifarious consequences of climate change, scientists consider increasingly ferocious wildfires to be one of the most starkly apparent. Rising atmospheric heat – average minimum temperatures in California are 2.3F warmer than a century ago – is drying out trees and shrubs, drawing moisture away from the soil and shrinking the snowpack. Dampening rains are becoming erratic, or, like this year, not materializing at all. This creates a tinderbox for wildfires, which can ignite from actions as simple as sparks flying from a trailer dragging on the road or a faulty power line. There’s also evidence that climate change will help southern California’s autumn winds, known as Santa Anas or Diablos, fan wildfires. A 2016 study found climate change has doubled the total area burned in the western US since the 1980s. 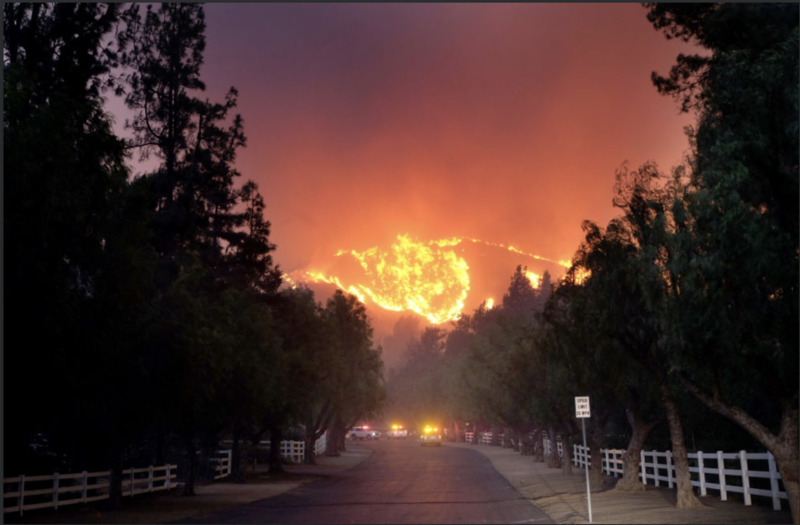 Something on the scale of the Camp fire, where a funnel of flame seared through a town in a few hours, could’ve conceivably occurred 50 years ago but it would’ve involved a “very unlikely sequence of climate events you wouldn’t see again”, Westerling said.